Updated Tuesday April 10, 2018 by Alissa Carver. Parents - The company that does the PA fingerprinting has changed. 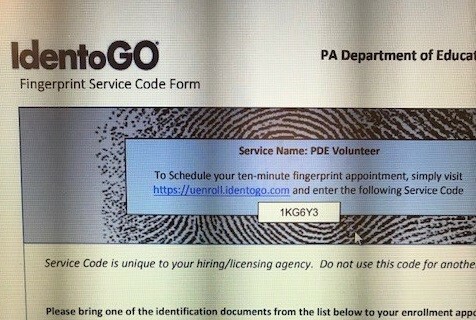 You will need to go to the below webiste and add the attached code in the PDF file to complete your fingerprinting if you have not lived in the state of PA for the past 10 years. The PDF file also has instructions on how to go about getting your fingerprinting done.